Description: Taste and buy some of the best food and drink on offer from local producers. The Stallholders will include:- Alweston Jam and Chutney Empire, Chocolate Arthouse, Dorset Pie Company, Fussels Fine Foods, James’s Forager Spirit, Lavender Blue Food Company, Liberty Cakes, Little Groves Nursery, Meat Free Martha, Oxfords’ Bakery, Reads Coffee Roasters, Percy’s Bakery, Simply Sprinkle, Somerset Cider Brandy Co., Tim Hurren’s Icecream Trike, White Post Gate Honey, Wraxall Wines, Wyld Meadow Farm, and Yarty Cordials. A variety of interesting Veteran/Classic cars & motorbikes will be on display. Barbecued Hamburgers & Sausages, Refreshments, Ice cream, Beer and Cider will be here! Entertainment includes children’s activities. 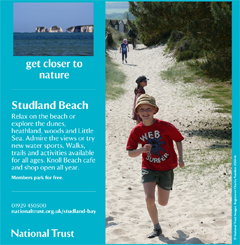 Adults £2, children under 15 Free Please let us know you saw us on What's On in Dorset!